In 2015, 32 year old Nishan Singh from Gurdaspur, Punjab left India to work as a driver in Saudi Arabia. 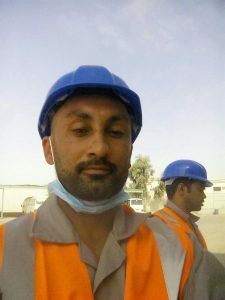 Nishan Singh was employed by ‘Yamama Cement Company Building’ based in Riyadh, Saudi Arabia. On the 31st of March 2018, Nishan Singh’s work colleague contacted one of Nishan Singh’s sisters to confirm that Nishan Singh had been in an accident involving ‘acid’ and that he had been hospitalised. On the 7th of April, 201, Nishan Singh’s family were informed by his work colleague, that Nishan Singh had succumbed to his injuries and was declared dead on the 7th of April. The family received no contact from the ‘Yamama Cement Company’. This continues to be the case at the time of publication. Nishan Singh’s devasted sister Rajbir Kaur explained that Nishan Singh was due to return to India on the 8th June of this year after spending three years working in Saudi Arabia. He was a brother to three sisters and the sole breadwinner in the family. Following the death of their father twelve years ago, Nishan Singh helped to support his family. In accordance with cultural expectation, Nishan Singh worked to fund the weddings of each of his three sisters. His plan was to get married on his return to India. Rajbir said that their mother is despairing and inconsolable at the loss of their only brother. Rajbir said that they cannot show the photographs of the injuries sustained by Nishan Singh. They fear the impact on their mother. One work colleague who wishes to remain anonymous in fear of reprisals, explained that Nishan Singh was working as a driver within the factory plant and that he was expected to ‘other work’ in the factory that is, additional duties other than what he was employed to do. 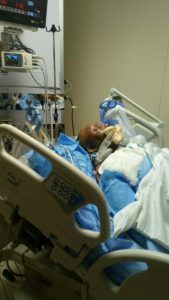 He claims that Nishan Singh was working the night shift from 10pm to 6am during which he was handling a large automated vat of hot cement which leaked onto him. This work colleague resolved that it ‘was meant to be’ and concluded that it was Nishan Singh’s ‘fate’ to die in this way. There are considerable concerns about this case; Nishan Singh was employed as ‘a driver’ so why was he left in charge or possibly operating an automated vat? We are aware that in these cases that the work migrants are not given any formally training, provisions of safety clothing and equipment is often non existent; there is no regard or concern for health and safety let alone a formal contract of employment. ‘Justice Upheld’ is aware that there is never any formal investigation or inquiry into these incidents and accidents either by the companies that employ these work migrants or by the Police. Whatever pressure that the Indian authorities may put on Saudi Arabia and other Gulf countries to account and prosecute evidently is ignored. We have yet to come across such a prosecution. There is no doubt that the Indian Authorities will help will the repatriation of Mr Nishan Singh’s body. They have started to process however, it appears their powers are limited to demand an investigation in to the death of their fellow national. They remind us that they have no jurisdiction in these countries and that they and their fellow Indian nationals are subject to the law of the land of these countries. The victims of these cases and their families never see justice. The companies continue to operate with impunity- knowing full well that they are under no pressure or requirement to account. There is often no regard to health and safety. There are no cooperatives or unions to protect and champion the rights of these work migrants. Even ‘International’ unions shy away from the Gulf States; they admit that they have no representatives let alone a presence in these countries. As for the work migrants, they are more often from poor backgrounds, uneducated and with low self esteem – grateful for a job even if it means sacrificing their rights and lives for the same. They are simply driven by their right and the rights of their families to exist. It is viewed as a necessity since there is no State social security support from the Governments in countries like India. These work migrants are exploited at a number of stages of their journey as migrant workers as a consequence of the lack of opportunities in their home countries. In India, the unregistered and therefore unregulated ‘recruitment ment’ exploit these migrant workers by offering them posts in the Gulf countries without any regard to the migrant worker’s experience and qualifications since the ‘recruitment agent’ is motivated by the arrangement fee which is raised by the migrant worker by way of usually an extortionate loan or by selling their land and/or property. There are no employment contracts, no retention of records or copy paper work. These ‘recruitment agents’ are part of the problem in that they arrange for their fellow nationals to travel to these wretched countries only to be exploited and deprived of of their rights, dignity and more often, their lives as in Nishan Singh’s case. The ‘recruitment agents’ continue with impunity since they are rarely prosecuted and closed down. Thank you for the work you are doing. There are huge injustices which need to addressed.